This doggie is free and must remain free. Please do not distribute the mesh in any form. Whatever you render with it can freely be used for both personal and commercial purposes. 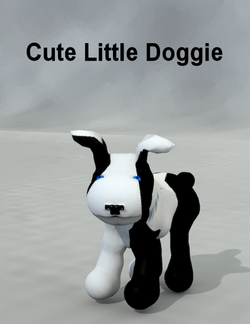 A figure of a stylized dog, more toon then realistic. This page was last edited on 4 April 2018, at 16:02.